​Master in High Performance Sports, Spanish Olympic Committee, Madrid, Spain. Bachelor of Science in Physical and Sports Activities, Universidad del Salvador, Buenos Aires, Argentina. National Professor of Physical Education (I.N.E.F), University of Luján, Buenos Aires, Argentina. Currently Head Coach of Reial Club Nàutic de Tarragona. 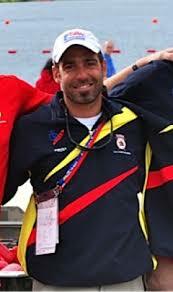 2006-2013 Coach Catalonian Rowing Federation​. 2005- Head Coach of the Argentine Rowing Team. 2003-2005 Coach of the Official Rowing Team of the Teutonia Rowing Club (Ruderverein Teutonia). March 2000 to July 2003 - Official Rowing Team Trainer at "Club de Regatas la Marina" (C.R.L.M. ).